The new 2019 Toyota Prius made its public debut at the Los Angeles Auto Show, marking further advances in the driving capability and appeal of the world’s most popular self-charging hybrid car. 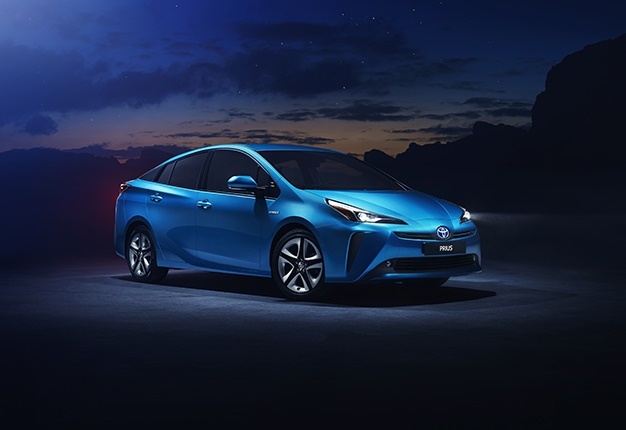 Maintaining this distinguished record, the new Prius is the first Toyota to benefit from Hybrid AWD-i, a new, intelligent, electric all-wheel-drive system that provides more sure-footed handling and peace-of-mind driving. The smart system uses an additional high-torque electric motor to provide extra drive through the rear axle when required. It is engineered to engage automatically when pulling away, at speeds up to 11km/h, and when sensors detect low-grip conditions, such as in snow or on wet and slippery road surfaces, at speeds between 11 and 70km/h. 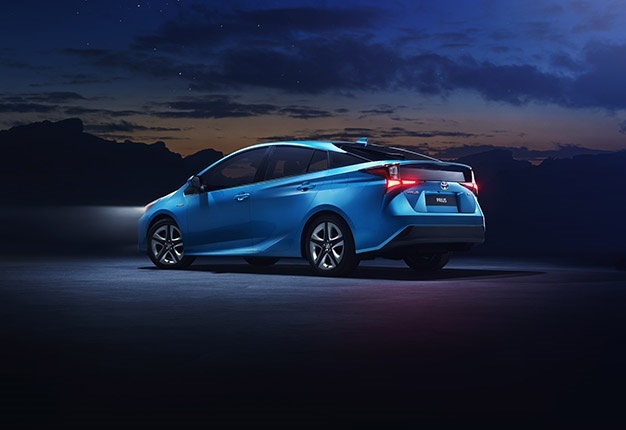 The unit is compact and lightweight, with no centre differential or front-to-rear driveshaft, so there is minimal intrusion in boot space and little compromise in Prius’s exceptional fuel economy and low emissions. The Hybrid AWD-i model features a new, compact nickel-metal hydride hybrid battery designed for excellent cold weather performance; the front-wheel-drive Prius is equipped with a new lithium-ion hybrid battery. 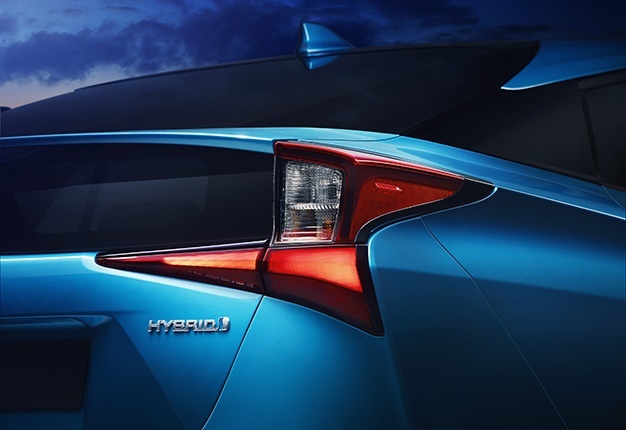 The latest evolution of Prius’s styling gives the car a cleaner look that engages the senses more strongly than ever. Sharp, slim new headlight units emphasise a sweeping horizontal line that evokes a wide and planted stance and feature new bi-beam LEDs that give a wider field of illumination. At the rear, new combination lamps again focus the eye on a strong horizontal line to emphasise the car’s low centre of gravity and are fitted with new-design light guides. The powerful effect is heightened by a new inverted trapezoid shape integrated into the tailgate around the license plate. The 2019 changes include the addition of two strong new colours – Emotional Red and Aqua Breeze – a new 17" alloy wheel design and a new contrast dark grey finish for the 15" wheel caps. In the cabin, the sensory quality has been enhanced with small but telling changes to the centre console arrangement and some of the controls on the instrument panel. New cloth upholstery finishes have been introduced, adding to the overall smarter and more refined interior. Changes to the equipment specifications include an increase in size for the wireless charging tray to accommodate larger smartphones; turn-by-turn navigation directions added to the head-up display functionality; and a multimedia touchscreen that offers faster response and can be operated using "pinch and flick" gestures familiar from smartphone use. Following its Los Angeles debut, the new 2019 Toyota Prius will make its local appearance in Q1 of 2019.